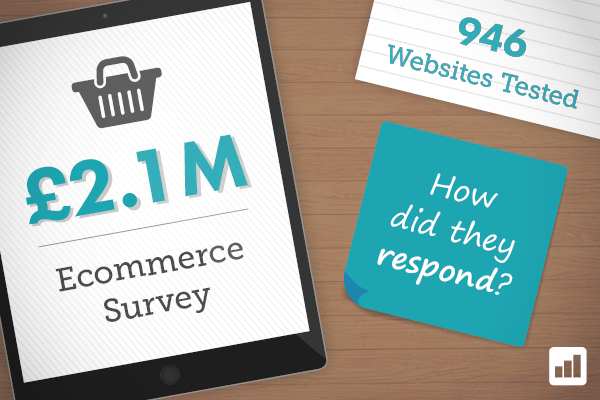 A 12 month survey for 2016 conducted by cart recovery specialists Optilead has identified that 81% of online abandonment is totally ignored. 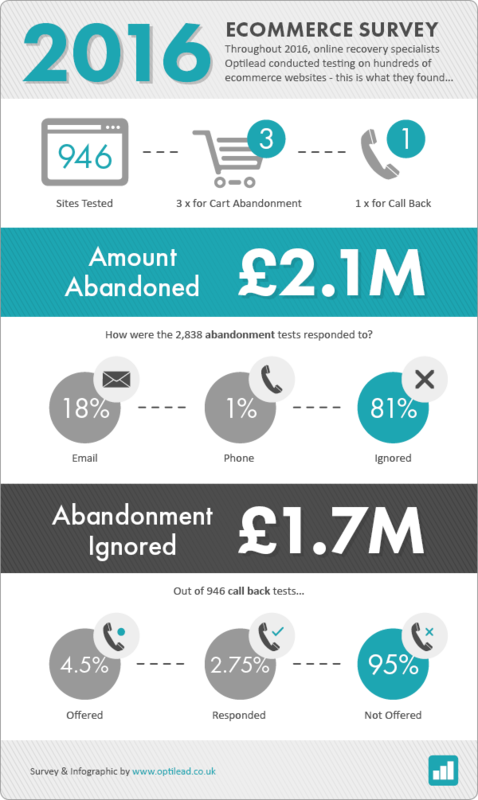 This means that in the tests, valued at £2.1m, a staggering £1.7m of abandoned transactions were not followed up. Over the past few years, online sales have increased in the UK in excess of 10% per year – with this continued increase comes higher competition and the increased need to maximize each opportunity. Despite this, recent reports suggest $4 trillion worldwide would be lost to cart abandonment alone during 2016. Optilead, who identify in excess of £100m of abandoned carts each week, know that by applying a real-time multi-channel approach consisting of phone, email & SMS, you can expect to see recovery rates from abandonment of up to 47%. But, more importantly by engaging instantly you will enhance your brand, increase consumer confidence, convert more business and the repeat or referral rates will be exponential. We’re exhibiting at IRCE 2017!